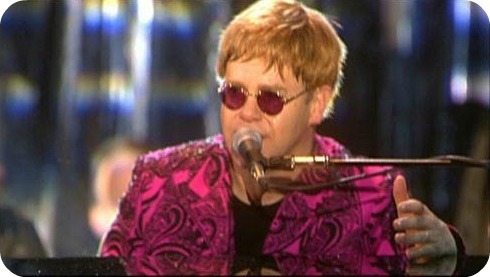 We were enjoying a bit of Elton John on Saturday night when the ever-stylish Silver pointed out that the ol’ crooner’s jacket had a hint of the Jil Sander. I know! We just live and breathe fashion. 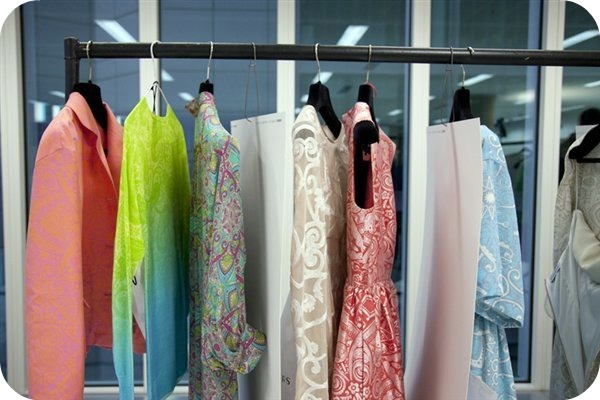 Paisley is having a miniature fashion moment, with Jonathan Saunders showing a stylised version of the print at his colourful, Betty Draper on acid, South Beach-inspired collection. 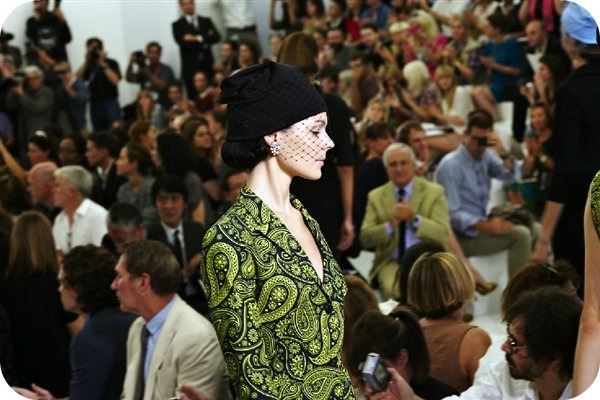 Jil Sander opted for supersized paisley, in a baroque-ish shade of snot green as well as more muted pastels. 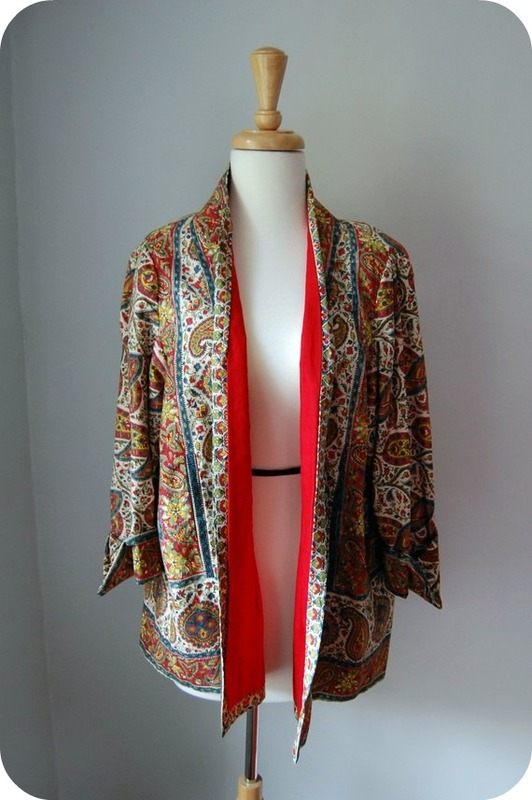 For me, paisley will always remind me of my stepdad’s silk robe, which I believe was St Michael. The above is a little more flamboyant, but not totally dissimilar. And you can buy it on Etsy! The Guardian put together a really nice slideshow covering the history of paisley, from its Asian origins to its psychedelic sixties revival. View it here!